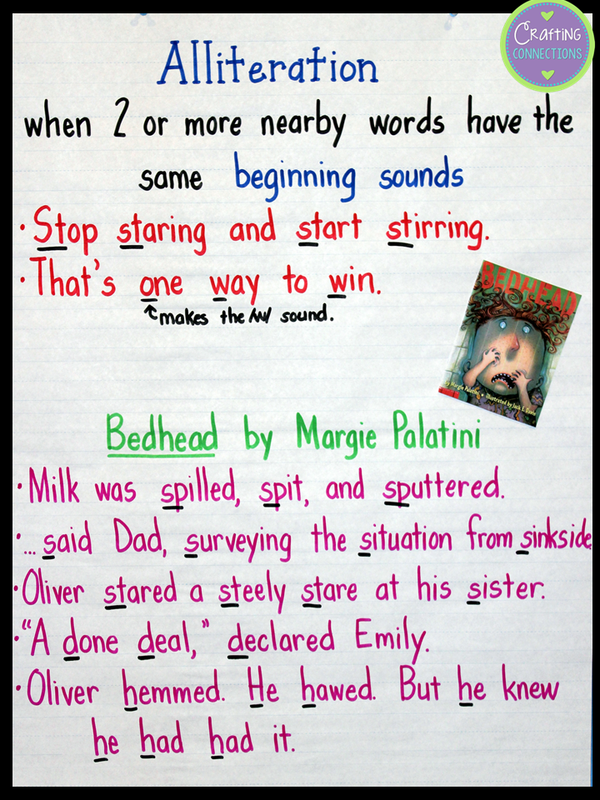 It is Anchor's Away Monday, and today I'm sharing this alliteration anchor chart with you! 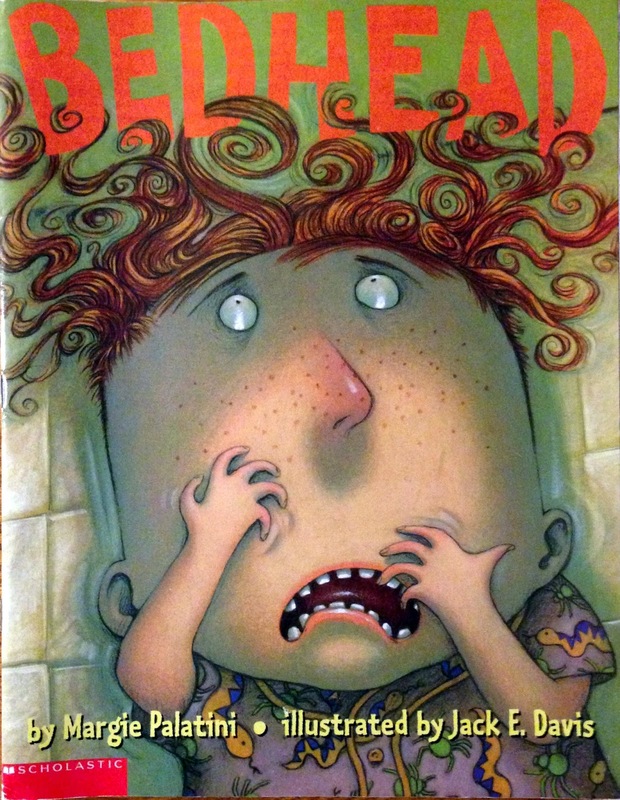 Bedhead is a favorite Margie Palatini book to use when teaching alliteration. Another favorite is Moosetache! Alliteration occurs when two or more nearby words have the same beginning sounds. #1- Two words is enough to make a phrase alliterative. Yes, Leah licked a luscious lemon lollipop is alliterative. But A caravan of camels was seen in the distance is also alliterative. #2- The words have to be near each other. Steph drove to Walmart to buy a new stereo is not alliterative. There are too many words between Steph and stereo to make that sentence alliterative. #3- The beginning sounds are the same, not the beginning letters. Unfortunately, the photograph was fuzzy is alliterative, but They found a green gem is not alliterative. 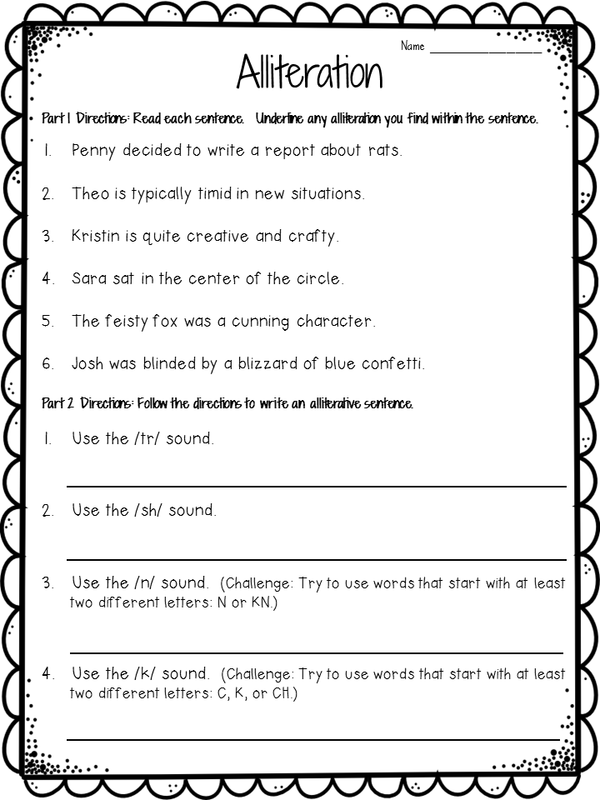 Click on the image below to download this FREE practice worksheet. I love teaching alliteration because the kids have so much fun after they get the idea. Great anchor chart as always! Can't wait to use this with my grandson. Thanks so much for sharing. I also love to teach alliteration. My students often choose it for writing time when they finish other projects.